At North Vancouver Recreation & Culture we believe camps are a fun, safe and meaningful way to spend school breaks. The right camp experience can help foster your child’s development. We promote values including respect, responsibility and honesty. We help kids learn to get along with a new group of peers, ask for help from others, and take on manageable risks independently. This approach creates resilient and confident kids, and we can all be proud of that! North Vancouver Recreation & Culture is an experienced camp provider. We serve over 2,800 campers annually and run nearly 1,250 camp programs. That’s 9,780 camp registrations at eleven different locations. With nearly forty years of experience in the camp industry, we’ve learned the most important part of camp is the relationships children develop. Each summer we ask our campers and their families to help evaluate our services. We’re very proud of the results! We have collected some of the most frequently asked questions about our camp services to help you know what to expect during your child’s first week of camp. We hope you find the information below helpful. 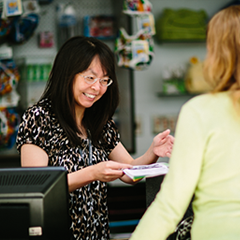 If you still have questions, please contact one of our customer service reps or camp supervisors at 604-987-PLAY(7529). We are here to help! Q: How are staff chosen & trained? *High Five is a national certification program that teaches the principles of healthy child development. Leaders also learn how to design programs that are welcoming of diversity, safe and developmentally appropriate. Find out more here! Q: How much communication can I expect from the camp leaders? Relationships are important to us and our leaders do their best to connect with all families. Please keep in mind that pick up and drop off times are busy and leaders are managing the kids, so staff may not be able to connect with each family every day. Rest assured, our staff will communicate all “need to know” information to you. Please approach our leaders if you would like to chat about something specific to your child. Q: Can I have my camp leader’s cell number? We’re sorry but the leaders are unable to take your call – they’re too busy taking great care of your child. Please contact the facility and our customer service staff or program supervisor will help you. Q: How can I get my child to tell me more about their day? Nothing is more frustrating than asking about your child’s day and getting no response. This is normal, especially for young children, and is more common in boys than in girls. Learning to reflect on the day is an important skill. Timing is everything – wait until your child has had some downtime to process their day. They probably won’t be able to tell you at pick up time. Ever wonder why your child has so much to say at bedtime? Be a good listener. Turn off your phone, sit with your child, and make eye contact. This non-verbal communication shows your child they have your undivided attention. Keep trying and be consistent. Like any skill, it will take your child time to master the art of communication. Q: How can I help my child settle in at camp? Walking into a room full of strangers may be hard for your child. Feel free to come in and get your child settled. Many of our camp programs start with self-directed activities so that children can relax and get used to their surroundings. Encourage your child to introduce themselves to others – it’s an important life skill. Our volunteers and staff are happy to lend support to your child as they practice this skill. Once all the campers arrive, the leaders will take attendance, give children an orientation, and talk about camp rules and expectations. They will also play some ice breaker games to help the children, volunteers and leaders get to know each other if it’s age appropriate. Q: My child is bored. How are you going to make sure they have fun tomorrow? Our leaders work hard to plan great days however sometimes kids do get bored at camp. Trust us here … being bored is not such a bad thing. When kids get bored of being bored – great things can happen. They develop their creativity and imagination; they engage in new activities and discover that they have control over how much fun they have at camp. Q: My child just plays all day at camp, are they learning anything? We couldn’t be happier that your child is playing at camp and we hope you are too! Our camps are play-based. In fact, playing is an important form of learning where the child is ‘in charge’ of what they are thinking and doing. During play, children think critically and creatively, test and explore boundaries and ideas, negotiate with peers, and make decisions. We’ve prioritized time for child-directed or ‘unstructured play’ so your child has the opportunity to develop these important life skills. Our staff will be there to provide guidance but won’t be telling kids what to do or solving their problems. Q: I’m so nervous! Is my child safe? You can rest assured that we are taking good care of your child. Our leaders are well trained in child supervision. Children feel safer when they know what to expect from an activity and what to do ‘just in case’. That’s why our leaders work carefully with the children to help them know what to do in different situations. Children learn important ‘predict and react’ skills by thinking through situations before they happen. Q: What is the camp discipline policy? Camp is a time for learning and developing confidence. Camp leaders know that children don’t have it all figured out yet, that’s why we try to help campers to solve their own problems by providing guidance. We encourage children to be respectful, responsible, honest and safe. Occasionally children need quiet time to collect their thoughts and relax their body, so they can calmly think about the situation that is upsetting them. Camp leaders will help your child identify how they feel, how the other participants are feeling, possible solutions and how to prevent the problem from occurring in the future. At times, camp staff will have firm rules to keep kids safe. Staff will explain why the rules exist and ask for your child’s cooperation. When campers cooperate, their leaders can trust them more and the camp experience improves. By the way, we do have an official policy that protects children from abuse and inappropriate discipline. Just ask us if you’d like to read it.